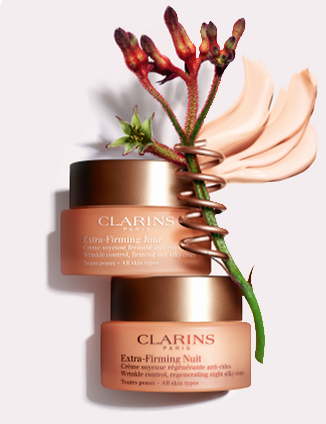 The Extra-Firming range returns with NEW Extra-Firming Eye and Extra-Firming Day and Night Creams, a dynamic combination that gives an instant lifting effect. 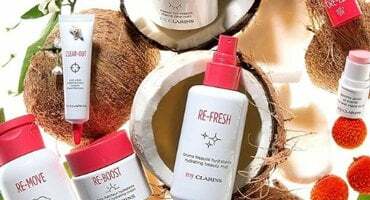 A skincare range that visibly improves skin’s firmness at its source for firmer, smoother and more renewed skin day after day. 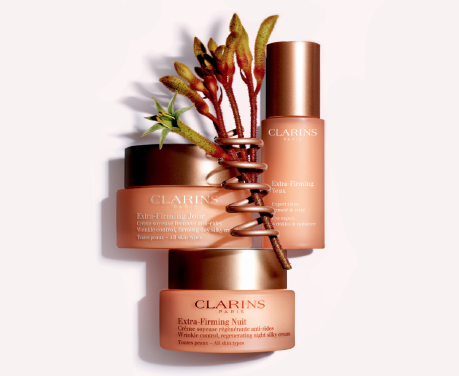 Extra-Firming formulas are packed with powerful plant extracts that visibly improve the skin’s elasticity and firmness and smooth the look of wrinkles. 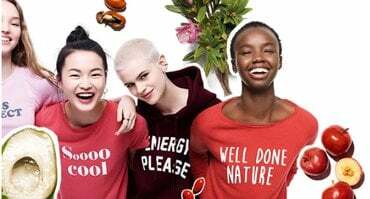 Boosts skin’s regeneration for firmer and youthful-looking skin. Visibly firms, lifts, fights wrinkles. 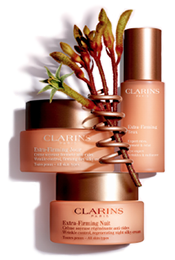 Clarins ethnobotanists travelled to Australia to study age-defying Kangaroo Flower—a plant known for its visible firming and wrinkle-fighting properties. A new plant discovery from Burkina Faso—Organic Mitracarpus promotes skin suppleness at its source by visibly boosting elasticity and firmness. 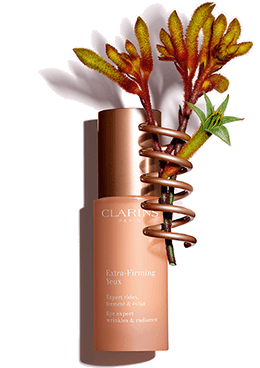 *Satisfaction test –Extra-Firming Day All Skin Types & Extra-Firming Night All Skin Types –103 women –14 days. This 2-in-1 intensive eye contour care combines the smoothing effect of a serum with the comfort of a balm. 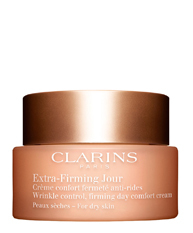 Helps to reduce the appearance of puffiness and age-related dark circles. 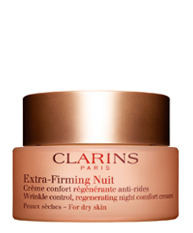 Refreshes tired eyes and reduces the appearance of puffiness and dark circles.